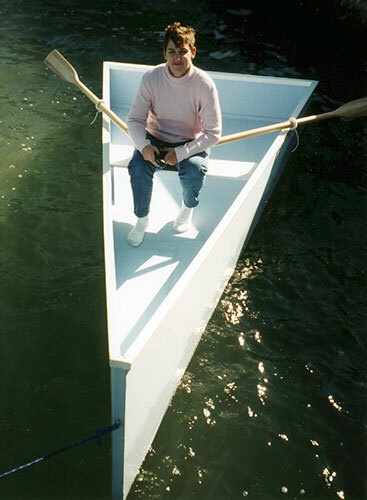 Rick Hooper and Ann Marie Mozdziak designed and built this rowing skiff. Constructed of luan plywood and Douglas fir, WEHDGEE is 11' long with a 5' beam. She was launched on November 7, 2000 in Boca Ciega Bay, St Pete Beach, FL. Rick writes that she is "lightweight, stable, and a handy flat water rower to just 'enjoy floating'."